Sometimes I plan out these posts well in advance, and by well I mean the day before. Other times I don't, like today. I couldn't really figure out which shoe to feature today. Then last night as I was looking on eBay I found the Acropolis. The Acropolis, when most people see this word they think of the Acropolis of Athens. According to Wikipedia, Acropolis literally means "high city". So who wore the "high city", why not the person that used to get the highest in The City. That's right, Mr. Latrell Sprewell. This isn't the choke happy, I've got a family to feed, Sprewell. This is the fresh face, Converse wearing, young high flying player for the Warriors. 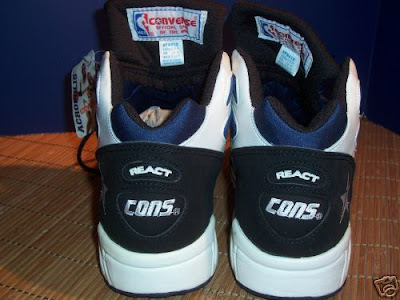 That's right, these were Cons and they had React. It really doesn't get any better than that. I found these on an eBay Auction, here. Thank you username jerseys4thewin, for the pics. Thanks for checking out the blog, keep voting in the poll and tell all kinds of people about the blog, please! Enjoy All Star weekend! As a 28 year old baller, I've been through many kicks of different brands, and I must admit these Acropolis Mids are *the* best shoe I have ever worn on the court. I had a black and red pair myself waaay back in the day. 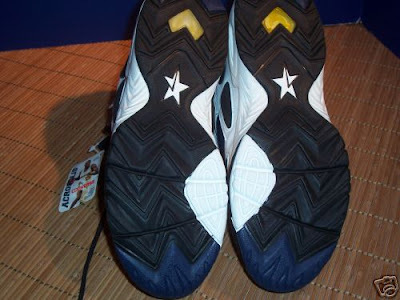 (1994-95 ish, and still tried to wear them well after their death). To this day, I have tried to find a pair again but i've had no luck. Look after your fresh looking white ones. I'm jealous! 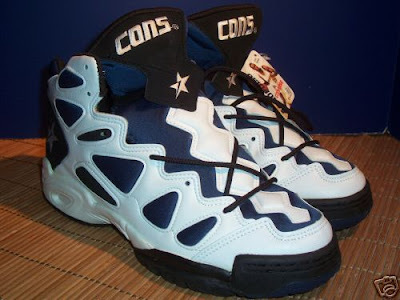 I've even emailed Converse to ask if they are re-releasing their models of yester-year... Just to rock these again!!! How much would an original pair of Acropolis would cost today??? 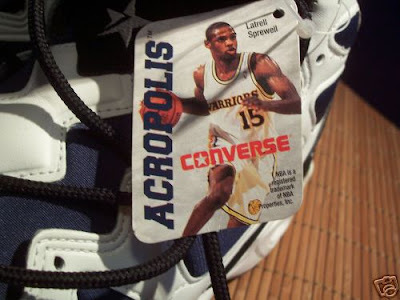 How much would it cost a pair of acropolis today?